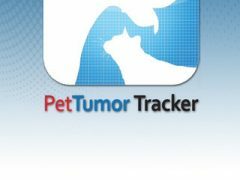 The Pet Tumor Tracker smart phone app by Veterinary Oncology Services helps you keep track of the size, look and appearance of lumps and bumps on your dog or cat. 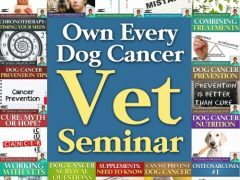 Learn the best ways to fight dog cancer with holistic and conventional (Western) treatments, surgery, nutrition and other therapies discussed in the Dog Cancer Survival Guide book and store. 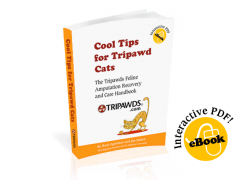 Learn about veterinary oncology basics for cats and dogs in two Tripawd Talk Radio interviews with vet oncologists Dr. Steve Shaw and Dr. Sarah Boston. 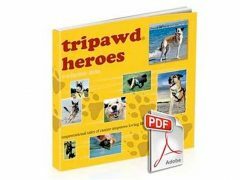 Tripawd Talk Radio podcast interview with board certified oncologist Dr. Steve Shaw explains veterinary oncology basics including chemotherapy for dogs and cats, radiation, metronomics, nutrition and supplements during chemo and more! 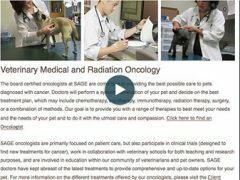 Sarge shares videos of his chemotherapy sessions for canine osteosarcoma with Dr. Aaron Heintz, DVM of Wedgewood Pet Clinic in Oklahoma City, OK.